I will attempt to provide an objective sociological definition for terrorism by referring to the works of Turk (2004 n.p) and Black (2004 n.p). Additionally I will explore how their models can be applied to real world situations as a means of understanding the dynamics of terrorism, as well as to achieve clarity on how the motivations of people that commit such acts are intertwined with the processes of how they came to view themselves as “others” or “outsiders”. Terrorism is not a natural phenomenon but is rather an interpretation of events and their presumed causes (Turk 2004 p.271). These interpretations in turn, are not unbiased or objective attempts to decipher the truth of the situation (Turk 2004 p.271), and are instead subjective perceptions which are used to promote certain interests at the expense of others (Turk 2004 p.272). The more powerful a party is (such as a national government) in a conflict, the more successful they are at labeling opponents as terrorists, while attempts by opponents to label officially sanctioned violence as “state terrorism” are unlikely to succeed unless they are also supported by a powerful third party such as the United Nations (Turk 2004 p.272). Additionally, threats which are presumably influenced from outside a given nation are far more likely to get labelled as an act of terrorism when compared to incidents involving organisations which can be considered to be domestic or “home-grown” (Turk 2004 p.271). Labeling is thus a major component of terrorism, with involved parties attempting to apply unfavourable stigmas to their opponents based on their subjective agendas. As the popular phrase goes “one man’s terrorist is another man’s freedom fighter”. Despite these subjectivities, what then, are the unifying characteristics of terrorism and terrorist acts? Where do the motivations of the individual terrorist stem from when they commit such acts? Turk (2004 p.273) notes that for empirical research purposes, terrorism is usually defined as the deliberate targeting of more or less randomly selected victims whose deaths and injuries are expected to weaken the opponents will to persist in a political conflict. Similarly Black (2004 p.16) defines pure terrorism (which is terrorism as defined by his model of pure sociology) as self-help by organised civilians who covertly inflict mass violence on other civilians. He states that like other forms of violence, terrorism is a form of social control (Black 2004 p.16) which defines and responds to deviant behaviour (Black 2004 p.15). Terrorist acts as such are political in nature, rather than necessarily being the products of psychopathology or material deprivation (Turk 2004 p.273). Moreover, although terrorist acts may resemble conventional warfare, they are instead a form of quasi-warfare – being unilateral and covert instead of bilateral and overt; where its primary targets are civilian rather than military (Black 2004 p.16). This focus on harming civilians is also where terrorism distinguishes itself from forms of guerrilla warfare; which may at first appear similar due to their similar scale and tactics (Black 2004 p.17). Furthermore, conventional warfare usually has a well-defined beginning and conclusion; with former enemies resuming normal relations after the “end” of the conflict (Black 2004 p.17). This is in contrast with most conflicts involving terrorism where the true beginning/end point may be difficult if not impossible to place. It may be helpful to analyse a specific incident in order to both illustrate these points and also to determine to what extent these theories are applicable to real world situations. The incident I will use for this purpose is the 2007 bombing of Sultan Park; which is the first known bombing to occur in the Maldives. The homemade bomb was exploded in the afternoon of September 29th at approximately 14:30hrs outside the gate of Sultan Park, which is in the vicinity of the main mosque of the capital Male’ and is an area which is frequented by locals and expatriates in addition to being a popular location for many tourists visiting the capital from their resort retreats (The Observer 2007). The blast injured 12 tourists and it is important to note that rather than all being from the same nationality, ethnicity, political affiliation or other such group, the injured were from a diverse range of countries which consisted of China, Britain and Japan - the only unifying characteristic being that that they were all foreigners and tourists (BBC News 2007 n.p). The intended targets were therefore most likely to be these civilians; in particular tourists visiting the Maldives from abroad who were targeted not as individuals but more or less randomly selected victims chosen for what they were perceived to represent as a group. This is further supported by the fact that the bomb was remotely exploded using a mobile phone (BBC News 2007); implying that the time of its detonation coinciding with the arrival of the tourist group to the area was no accident. The attacks were thus covert, unilateral and targeted civilians with violence. Now that we have established that the bombing can be characterised as a terrorist act, what then were the motivations of those that carried it out? How did they come to warrant the label of “terrorists”? Turk (2004 p.274) states that the general conclusion of Krueger & Maleckova (2003) is that terrorism is better understood not as a direct response to poverty, but as a response to feelings of indignity and frustration developed in repressive political environments. In this regard, it is important to note that 2007 marked one of the final years of Maumoon Abdul Gayoom’s 30 year dictatorship which would dominate political thought in the country from 1978-2008. Maumoon’s regime has been regarded as oppressive towards individual expression and liberties in addition to being hostile towards ideologies which stray from the sanctioned norms by various commentators (Asian Human Rights Commission 2006 n.p). The regime maintained strict control over political and religious thought by controlling the media and also by jailing and torturing dissidents (Asian Human Rights Commission 2006 n.p. ); which I believe can be classified as a form of state-terrorism, as the primary targets were also civilians who were targeted with violence using covert means. Maumoon, who also considered himself a religious scholar and thus responsible for accepted Islamic ideology, saw the ultra-orthodox as a much of a threat to his own brand orthodoxy as liberalism and heavily suppressed radical thought; with measures such as banning the face covering niqab and shutting down independent religious congregations which would only serve to stigmatize followers of radical sects further. In particular relevance to this case, there have been reports of jailed radical preachers that have claimed that the regime tortured them in various ways; including degrading punishments which specifically targeted their identity as religious fundamentalists such as shaving their beards off using chilli sauce as shaving cream (Himal Southasian 2012) (Minivannews 2010). This gave the bombers, who have been primarily characterised and labelled as religious fundamentalists, a political reason for the attacks. 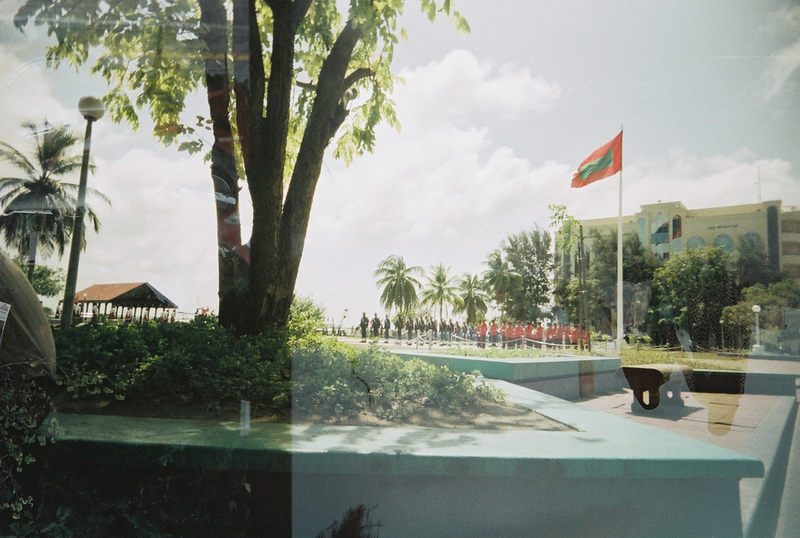 The attacks, especially since they specifically targeted tourists, had the potential to severely impact the tourist industry, the main source of income for the country, and forever tarnish the reputation of the Maldives as a peaceful destination by increasing the perceived risk of visiting. As such the Maldivian government reacted to the bombings by shutting down an “illegal” mosque being run from a private residence in the capital (HaveeruOnline 2007); and the investigation into the whereabouts the of the suspects and details of the attacks would lead them to the island of Himandhoo in North Ari atoll – where a similar mosque was being run because certain residents felt that the teachings of the government sanctioned imam of the “official” mosque were against the Sunnah (sayings and actions of the Prophet Mohammed) (HaveeruOnline 2007). This would result in an armed confrontation between the police and mosque attendees/supporters as they attempted to prevent its closure. These operations taken by the Maldivian government in retaliation to bombing, which itself appears to be result of political & ideological oppression, represents some of the feud-like elements that are present between terrorism and counter-terrorism (Black 2004 p.18) (Turk 2004 p.280). Turk (2004 p.277) notes that a previous analysis by Juergensmeyer (2000) has shown that the religious traditions of Christianity, Judaism, Sikhism, and Buddhism all allow, and may even require, violence in defence of the faith. The selective and innovative interpretations of sacred texts can nurture “cultures of violence”; where religiously motivated terrorists see themselves as “holy warriors” fighting to restore or create a “true” moral order in a “cosmic war” between good and evil (Turk 2004 p.277). Additionally Black (2004 p.18) notes that terrorists typically demand a restoration of the past, such as political independence, lost territory, or a customary way of life. These notions are evident in the recent declaration of an “Islamic State” or Caliphate by Abu Bakr al-Baghdadi (Al Jazeera English 2014), the leader of ISIL (Islamic State of Iraq and the Levant) or ISIS (Islamic State of Iraq and Syria) – currently referred to as just IS (The Islamic State). The notion of a caliphate itself is a religious ideal as much as it is a political; and refers to the idea of an Islamic state led by a supreme religious and political leader known as a caliph; which in the case of IS, is “Caliph Ibrahim ibn Awwad”, an alias for al-Baghdadi himself. Here al-Baghadi positions himself as the decider of the true moral order and thus the leader or the “righteous” in the perceived “cosmic war” between his interpretation of Islam and the rest of existence as he attempts to restore “Islam” to its “former glory”. His largely political manoeuvrings are still inescapably tied with the label of terrorism due to how his organisation has repeatedly targeted civilians in their operations. The obsession with a restoration of the past is echoed in the materials propagated by Maldivian radical fundamentalists; the most recent of which laments the “destruction” of the Islamic Caliphate in Spain and warns of a similar fate occurring to the Muslims of today if they give into democratic ideals, “irreligion” and the will of the “infidels” (Minivan News, 2013). The shutting down of the independent mosques, jailing of radical preachers and strict controls over religious thought would create a rift between the Sultan Park bombers and the government as it would have increased the distance between them in terms of social geometry. Black (2004 p.18) states that he builds on Roberta Senechal de la Roche’s (1996,2001) theory of collective violence to propose that terrorism arises with a high degree of cultural distance, relational distance, inequality and functional independence - together comprising a condition of “social polarisation” between the aggrieved and their enemy; with the extent of social polarisation explaining the occurrence of terrorism and its level of violence. This may perhaps explain why the bombers did not target other Maldivians and instead chose to attack foreign nationals; as other Maldivians would have largely been perceived to be Muslims and thus closer in social space, even though they belonged to a different ideological sect. Visiting tourists on the other hand, would have been perceived as both foreign and non-Muslim. It may also explain the relative infrequency of such terrorist attacks by Maldivians on Maldivian soil. In contrast, there have been growing reports and incidents of Maldivians going abroad to fight for Islamic “jihad” in other countries; with Syria being the most recent example of note (Minivan News 2014). This corresponds with the recent rise in “westerners” from first world countries travelling to Syria and Iraq in order to become jihadists (Reuters 2014 n.p.). A study comparing the motivations of “domestic” Western jihadists and “foreign fighters” (Western jihadists abroad) and why they used violence by Hegghammer (2013 p.6) found that when Western jihadists first considered using violence, considering all else was equal, they were more likely to join in a distant warzone than attack at home. These similar trends between first world and third/developing world jihadists in their preference to fight abroad rather than at home may perhaps be indicative of the effects of social polarisation at work despite the difference in structural and geographic origins. It is also important to note the shared ideology of Islamic radicalism and fundamentalism – an ideology which is inherently incompatible and opposed to more inclusive philosophies and ideals such as democracy or secularism. Black (2004 p.21) notes that terrorism has been a relatively rare occurrence in human history because, except for certain exceptions, the social geometry of terrorism rarely converges with a physical geometry that provides opportunities for mass violence with enemy civilians. However, he notes, the great advances in technology in recent years, in particular in the fields of transport and communication (Black 2004 p.21) has significantly reduced the time needed to travel and interact across physical space (Black 2004 p.22). These aspects are demonstrated by the example of the 2007 Male’ Bombing in several ways. First of all in the past, before the spread of relatively inexpensive global travel, the bombers would not have had any targets that were a sufficient distance apart in terms of social space while still being sufficiently close enough in terms of physical space to attack. The significant growth of the Maldivian tourism industry coupled with those technological advancements in travel would enable foreign non-Muslim tourists, who were significantly different enough from the general local population to be classed as others, to enter the country in numbers large enough with a close enough proximity (the capital city) to warrant an attack. Advances in technology are also responsible for the spread of the ideologies that would justify such an attack; in terms of enabling radical preachers to travel abroad to attend conservative madrasas in Pakistan and elsewhere, and also in terms of communication technologies such as the internet enabling the rapid transmission of ideas across traditional geographical boundaries. Since the targets of the attacks can be said to be the tourists and the government, they also satisfy one of Black’s (2004 p.19) requirements for pure terrorism – which is that it has an upward direction, against a social superior. Black (2004 p.22) states, as the relevance of physical geometry declines, the fatefulness of social geometry rises; with the social geometry of a grievance becoming not merely a necessary but a sufficient condition for terrorism. The way in which technology (advancements in global travel and communication) enabled the 2007 Male’ bombing is paralleled by the rise of foreign fighters travelling to Syria/Iraq in order to fight for IS; in particular their sophisticated global propaganda campaign which makes full use of new media and the internet. Furthermore, despite the physical proximity, the distance in social space that would exist between foreign fighters and local “enemies” (non-Muslims and Muslims belonging to other sects such as the Shiites) compared to locals fighting amongst themselves would be much greater. This may also perhaps explain the extreme levels of violence displayed by foreign fighters towards locals and other “enemies” compared to what was occurring when the conflict was largely a civil war involving local rebel factions and the government (Al Arabiya English 2014) (The Guardian 2014) (The Washington Post 2014). Despite all this, the same technologies which are responsible for enabling such acts of terrorism may eventually be the cause of its eventual sociological death (Black 2004 p.24). The growth of communication technologies and global transport have significantly reduced to physical and social distances between groups of people that have been historically separated from one another leading to the recognition of self-hood amongst people that previously regarded one another as the proverbial “other”. Black states (2004. p.22) that this amplified contact between such people will increase global intimacy, cultural homogeneity, and other forms of human closeness; concluding that technology thus makes terrorism easier and deadlier in the short term, but in the long term it destroys the social geometry on which terrorism depends. Turk (2004 p.285), meanwhile is more conservative in his conclusion and states that whether or not such “cosmic wars” can result in anything other than the mutually assured destruction of all or at least some involved parties remains to be seen. I personally agree with Black’s views, as “terrorists” themselves only appear to represent a minority of the human population – their global presence largely exaggerated due to the culture of fear that dominates the fourth estate; with the majority of peoples busily occupied with the process of understanding one another in this new era of global communication – further reducing the social distance and sense of “otherness” required for the majority of terrorist acts to occur. Al Arabiya English, 2014. Meet ISIS’ new breed of Chechen militants. [ONLINE] Available at:http://english.alarabiya.net/en/perspective/analysis/2014/08/31/Meet-ISIS-new-breed-of-Chechen-Militants-.html. [Accessed 21 September 2014]. Asian Human Rights Commission . 2006. MALDIVES: The Human Rights Situation in 2006 . [ONLINE] Available at: http://www.humanrights.asia/resources/hrreport/2006/Maldives2006.pdf. [Accessed 15 September 14]. BBC NEWS, 2007. Tourists hurt in Maldives blast. [ONLINE] Available at:http://news.bbc.co.uk/2/hi/uk_news/7019929.stm. [Accessed 20 September 2014]. Black , D., 2004. The Geometry of Terrorism . Sociological Theory , Vol. 22, No.1, 14-25. HaveeruOnline 2007. Police shut down illegal mosque; two people arrested . [ONLINE] Available at: http://www.haveeru.com.mv/news/18314. [Accessed 20 September 2014]. HaveeruOnline 2014. Police begin operation in Himandhoo to find missing bomb blast suspects . [ONLINE] Available at:http://www.haveeru.com.mv/news/18351. [Accessed 20 September 2014]. Hegghammer, T., 2013. Should I Stay or Should I Go? Explaining Variation in Western Jihadists' Choice between Domestic and Foreign Fighting. American Political Science Review, Vol. 107, No.1, 1-15. Himal Southasian, 2012. A tool for the atolls : Himal Southasian. [ONLINE] Available at: http://himalmag.com/a-tool-for-the-atolls/. [Accessed 20 September 2014]. Minivan News, 2010. Religious unity regulations on hold | Minivan News . [ONLINE] Available at:http://minivannews.com/politics/religious-unity-regulations-on-hold-7301. [Accessed 20 September 2014]. Minivan News, 2013. Translation: Jamiyyathu Salaf’s ‘Al-Andhalus’ sermon | Minivan News. [ONLINE] Available at: http://minivannews.com/politics/jamiyathuh-salafs-al-andhalus-sermon-66015. [Accessed 21 September 2014]. Minivan News, 2014. Jihadist media claims two more Maldivians killed in Syria | Minivan News . [ONLINE] Available at: http://minivannews.com/society/jihadist-media-claims-two-more-maldivians-killed-in-syria-89915. [Accessed 20 September 2014]. Reuters . 2014. U.S., foreign fighters in Syria pose 'very serious threat' to U.S.: lawmaker | Reuters . [ONLINE] Available at:http://www.reuters.com/article/2014/08/31/us-syria-crisis-usa-lawmakers-idUSKBN0GV0KR20140831. [Accessed 20 September 2014]. The Guardian, 2014. British Isis militant in James Foley video 'guards foreign hostages in Syria' | World news | The Guardian . [ONLINE] Available at: http://www.theguardian.com/world/2014/aug/20/isis-militant-islamic-state-james-foley-guards-british. [Accessed 21 September 2014]. The Observer , 2007. Tranquillity of Maldives shattered by bomb blast. [ONLINE] Available at:http://www.theguardian.com/world/2007/sep/30/terrorism.travel. [Accessed 20 September 2014]. The Washington Post, 2014. Foreign fighters don’t always help - The Washington Post. [ONLINE] Available at:http://www.washingtonpost.com/blogs/monkey-cage/wp/2014/05/28/foreign-fighters-dont-help/. [Accessed 20 September 2014]. Turk, A. T., 2004. Sociology of Terrorism . Annual Review of Sociology, Vol. 30, 271-286.